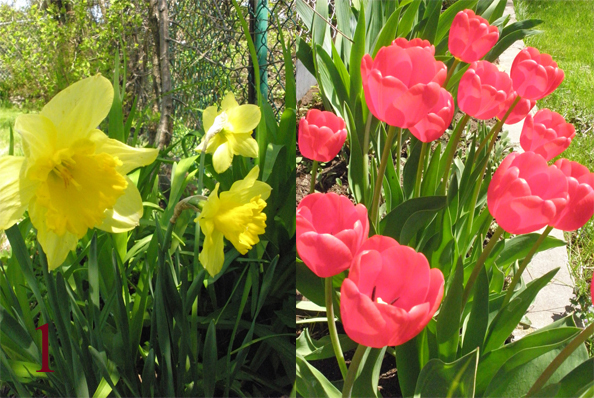 In Montreal (zone 5), tulips and narcissus bulbs come to full growth and bloom from end of April and mid May, depending how warm the weather might be (1). 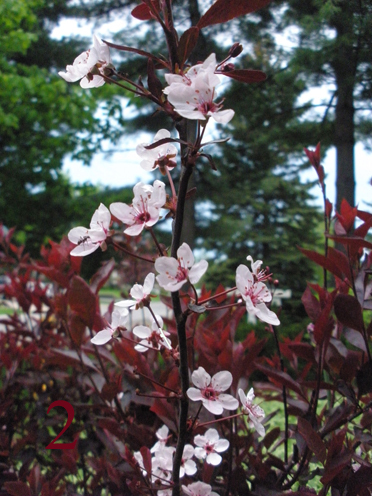 They are still in bloom, when palm cherries’ leave turn red and gradually bloom their pink and scented little flowers. These lovely flowers last only about 15 days unfortunately (2). 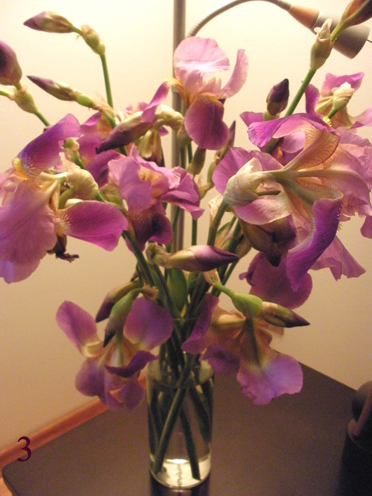 Next come the hardy and “invasive” iris, again the flowers won’t last beyond 1-12 days, and they make excellent cut flowers for you vase (3). 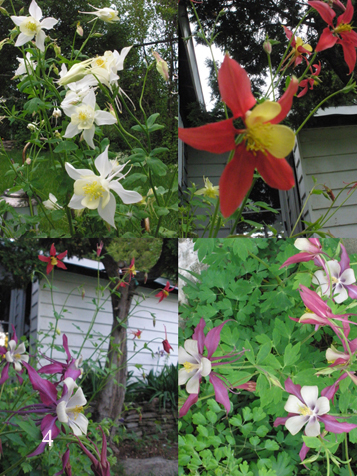 Columbine is the name of this tall delicate flower in picture 4, I have four different colors of them in one of my flowerbeds, and they keep rejuvenating themselves each year through their seeds. For a long time I was convinced that pansy was an annual. Nope! My bi-colored pansies keeps coming up every year. 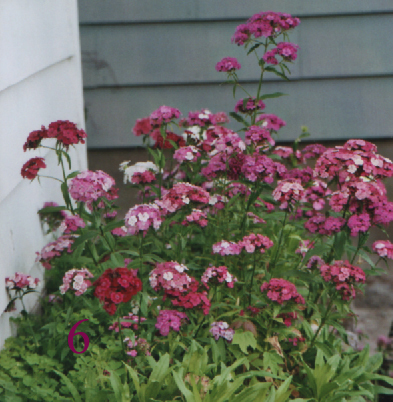 My gillyflowers start blooming from Mid June and keep it up right to the end of July. Sometime, I get another round of flowers in Mid August! These, too, reproduce themselves through the seeds they shed on the earth. Finally – for this period of the year, is the night blooming eglantines. I did not even plant them myself, but I love their deep pink and heavenly fragrance which reminds of Kerman (Iran) and its rose fields and the whole process of extracting rosewater from the very similar types of flowers. 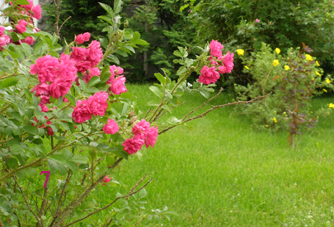 Prepare and work in your garden one step at the time, so it won’t exhaust you. Do so in harmony with nature. For instance, a day after heavy rain is ideal for weeding. Always use insect repellent before going to the garden to start working. Nasty insect bites could take out all the pleasure at the very least! Direct, mid day sun, is good only for the plants; not a good time to water, to cut flowers or to work for long hours without protection. Use environment friendly pesticides and compost. Well, keep busy in the garden and stay tuned, there are much more flowers to come soon!